These people have so much more to worry about other than a meager pay and lack of employee benefits. Some people earn comfortably in their desks, pushing papers and doing a few clicks and keystrokes. The only threat they face? Excessive caffeine and visual impairment caused by being glued to the monitor eight hours a day. Other people, however, have to wake up every day and risk their lives. These workers report to a job where the occupational hazards are real and, more often than not, fatal. If you don’t hold of these 10 deadliest jobs in the Philippines, then you have a reason to be thankful now. Construction workers in the country have to make do with meager payment, lack of benefits, and grueling hard work. The working conditions themselves only make the job worse. In a report by The Philippine Star, Senator Sherwin Gatchalian, Valenzuela City Representative last year proposed a bill to provide insurance to construction workers because of the high risks. “News of accidents is nothing new in construction sites, either through the negligence of the employer or the employee’s lack of skill. Physical harm, disability, or worst, death is often the result,” Gatchalian said. When you don the mantle of law enforcement, you are already putting yourself at risk of potential threats like assault, physical injury, and even death—all because it’s a call of duty. The International Labor Organization cited that the members of the police force have to deal with the dangers posed by criminals, the environment, psychological stress, and even contagious diseases just to maintain peace and security in the general public. Last year, the Official Gazette of the Philippines reported that “three brave firefighters perished in the line of duty when their old fire truck lost its brakes and rolled over in a ditch while trying to respond to a fire scene in Mati City, Davao Oriental.” The Bureau of Fire Protection, despite being composed of brave men and women willing to risk their lives to serve the public, have to deal with inadequate equipment, greater chances of fire, and psychological issues. Despite this, firefighters still go where they’re needed and put their lines on the line to protect people and their property. Going down on septic tanks can be messy, most of the time literally. These tanks under your homes collect wastewater from your drainage pipes, which become a breeding ground for bacteria and methane and other non-breathable gasses, both which are deadly. To make sure your septic tanks are in good shape, some people go down there and do maintain them in their working condition. Unfortunately, going there can cause suffocation and contact to the wastewater may cause sickness or some type of infection that can be lethal. Journalists in the country are being mowed down left and right. One criticism about a certain corporation or a corrupt politician and a bullet will come to the journalist’s way. Probably the darkest times in the history of journalists in the Philippines is in 2009, when 32 journalists along with numerous civilians have been killed and buried by a political family in Maguindanao. Just recently, President-elect Rodrigo Duterte caused an uproar after said that journalists themselves are the one to blame for being targeted by hitmen. It seems like media practitioners are yet to face their darkest times. The stakes have never been higher for those make sure that your office windows high atop those glass skyscrapers are squeaky clean. 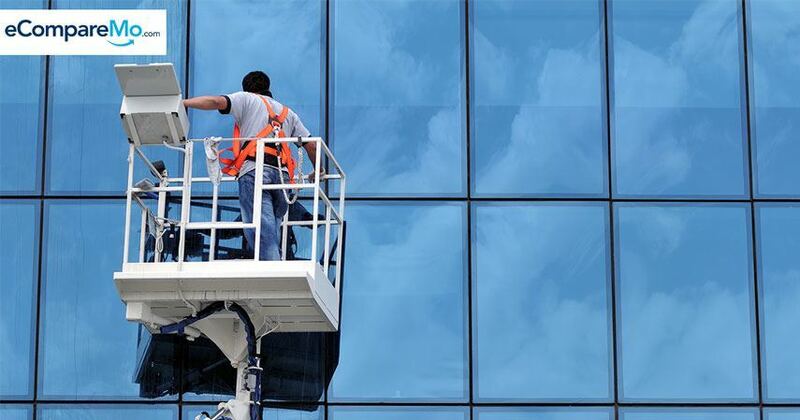 While some people shiver alone at the idea of falling from a tall building, some men wake up every day to climb their gondolas and clean buildings one glass panel at a time. One misstep or a violent gust of wind comes along and it may spell death for these brave workers, even with the harness.